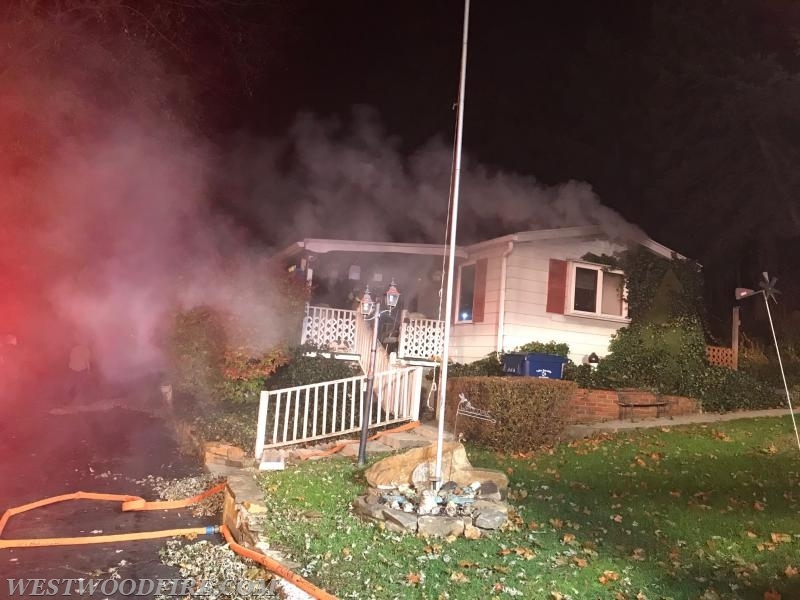 On November 22, 2017 at 1956 hours the Westwood Fire Company was dispatched to the unit block of North Park Avenue in Valley Township for a stove fire. 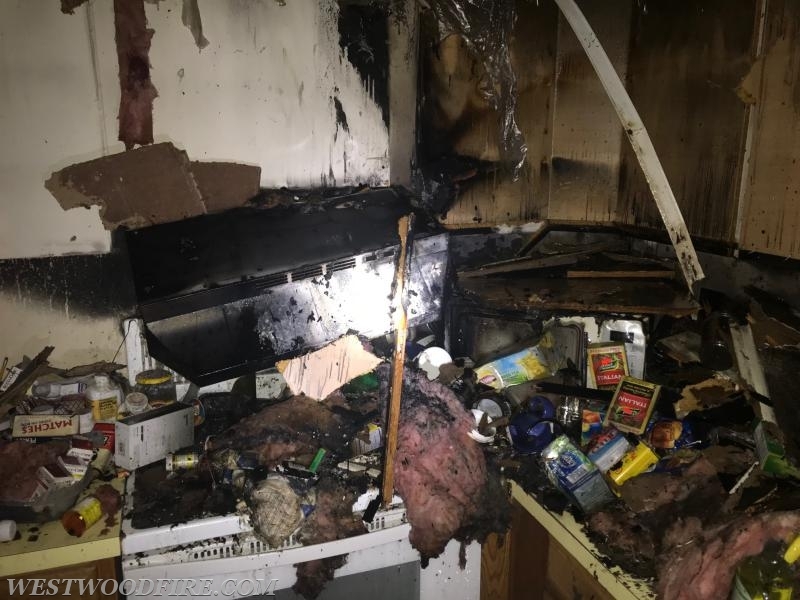 The caller had reported smoke detectors sounding and paper towels on a stove top on fire but the fire was out. 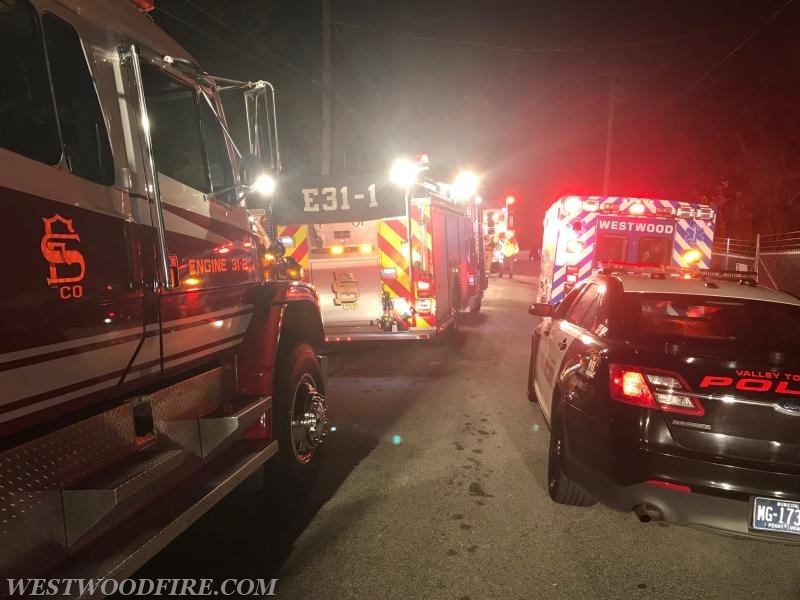 Within 5 minutes of being dispatched the first arriving units reported smoke showing from the exterior of the structure and requested a structure fire upgrade to be dispatch. This brought additional resources and manpower to mitigate the situation. 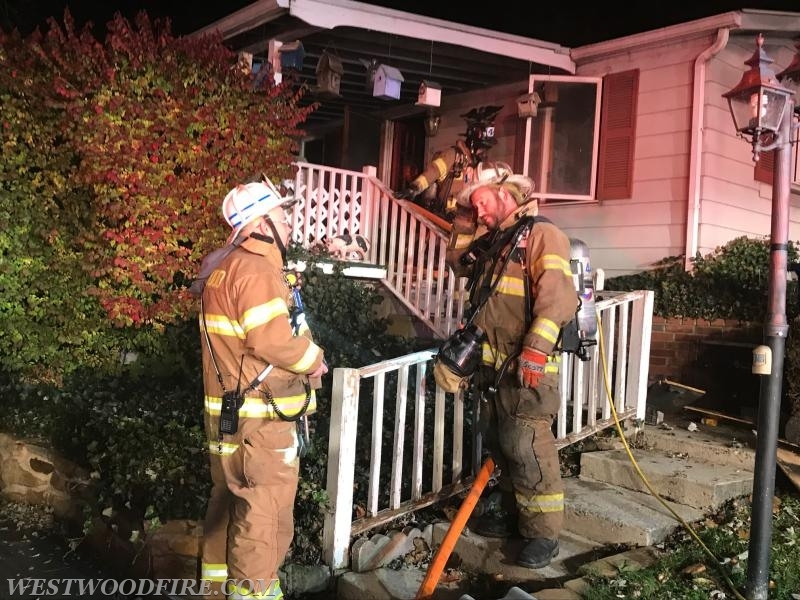 Firefighters stretched the front bumper hose line from Engine 44-5 to the front door where they were met by smoke banked down to the floor and visible fire in the Charlie/Delta corner of the structure. Once inside firefighters knocked down the fire and began opening the ceiling above the visible fire where more fire was located and extinguished. Crews split with half taking suppression and half searching for an unaccounted for dog. Fortunately the dog was found in a back bedroom and was taken to Ambulance 44-1 for care. 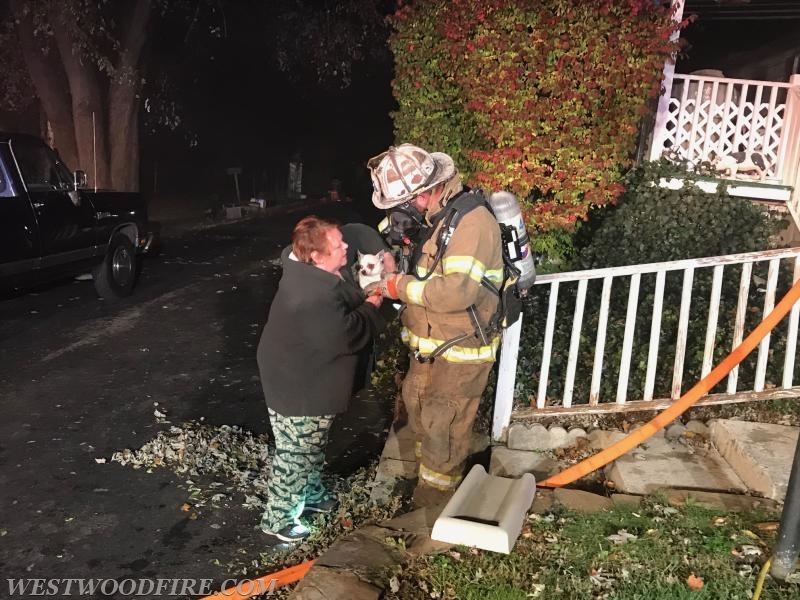 Additionally, the resident of the structure at the time of the fire was taken to a nearby hospital for smoke inhalation. 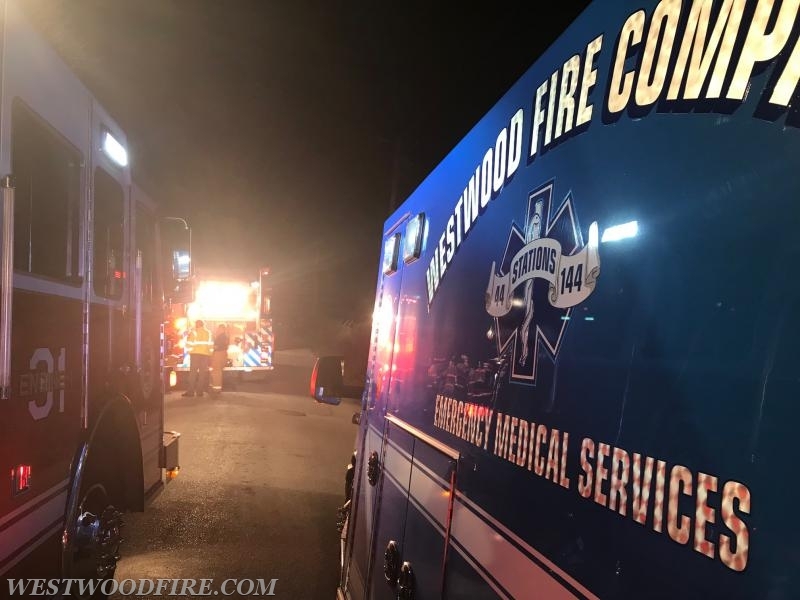 The assignment was held to the Westwood and Sadsburyville Fire Companies, Modena EMS and Medic 93. 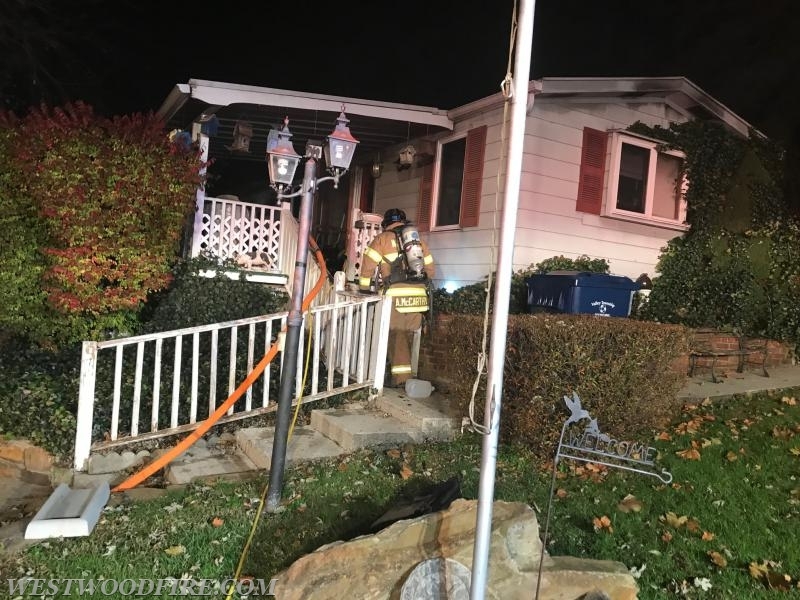 The Chester County Fire Marshal’s Office was called in to investigate the fire. Engine 44-5 arrived on scene with smoke showing and firefighters immediately deployed a hose line to the front door. 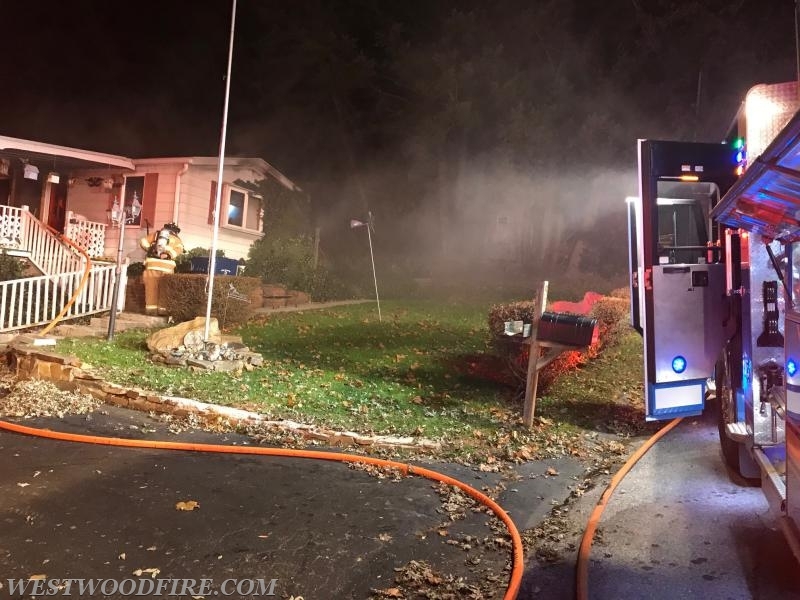 Engine 44-5 on North Park Avenue, pumping a hose line and providing lighting. Firefighter/EMT McCarthy prepares to make entry. 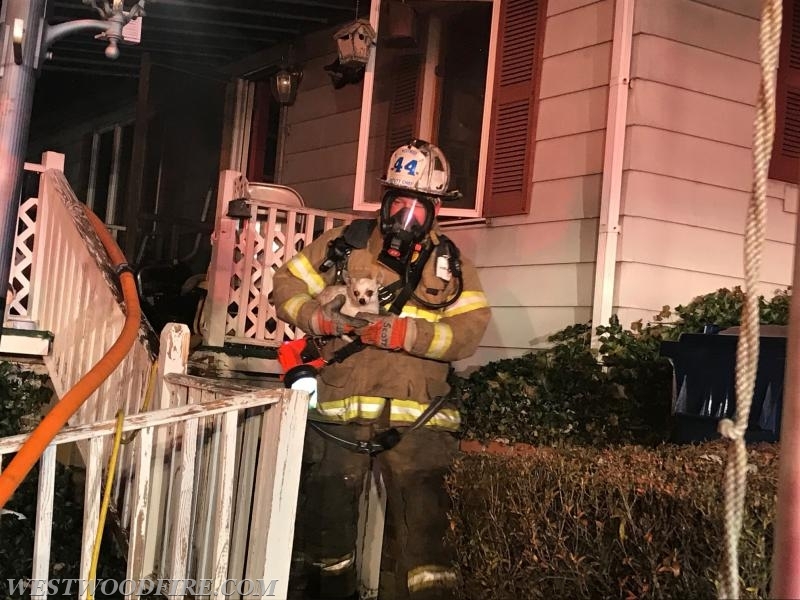 Deputy Chief Scott rescues a dog from a bedroom in the structure. The rescued dog being handed off to a helpful neighbor. Command receives a progress report from the interior officer. Engine 31-1 and Engine 31-2 staging begins Engine 44-5. 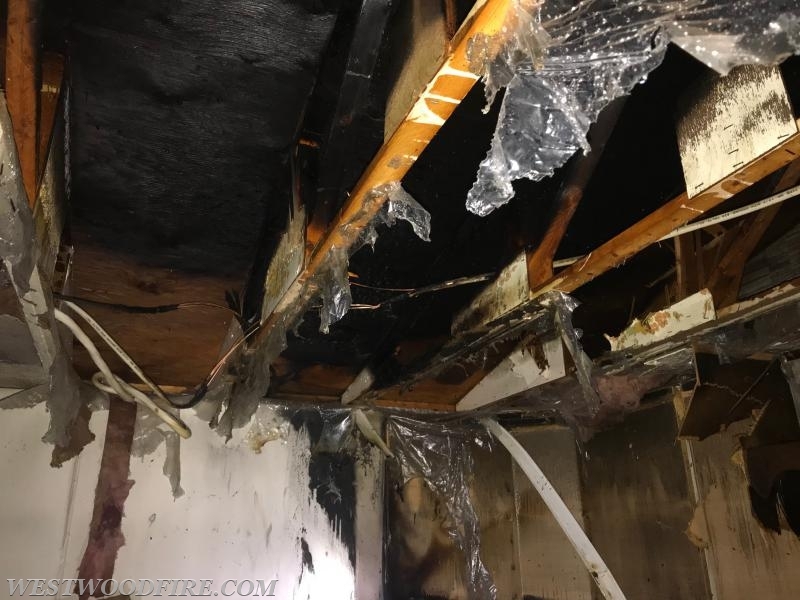 Fire was also found in the ceiling. Remnants of the fire area. 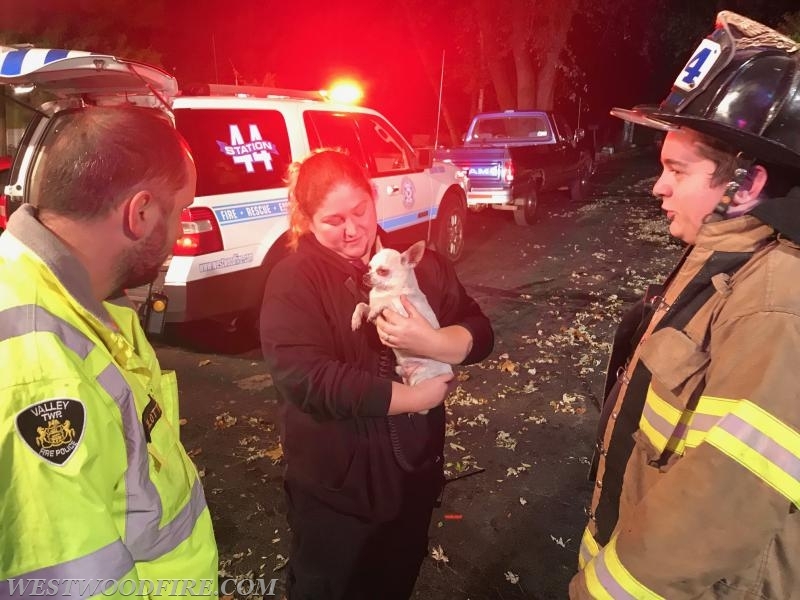 Firefighter/EMT Carro settles the dog down. 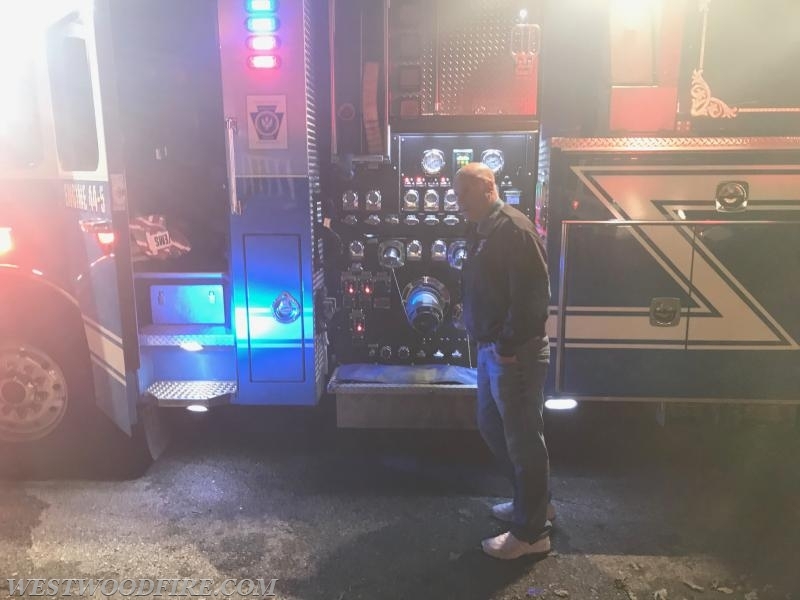 Battalion Chief Sly operates Engine 44-5.